Customize your way: simply swap chicken for beef or chickpeas and choose the veggies you love. 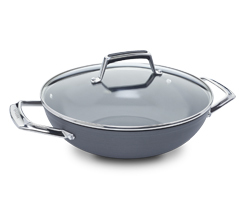 Combine seasoning with coconut milk in a Wok & Glass Lid over medium-high heat. Bring to a boil, reduce heat, and simmer for 2 minutes. Add chicken and cook for 5 - 7 minutes. Stir in vegetables and simmer for more 2 minutes. Stir in lime juice and soy sauce, if desired. Tip: Serve over steamed rice. 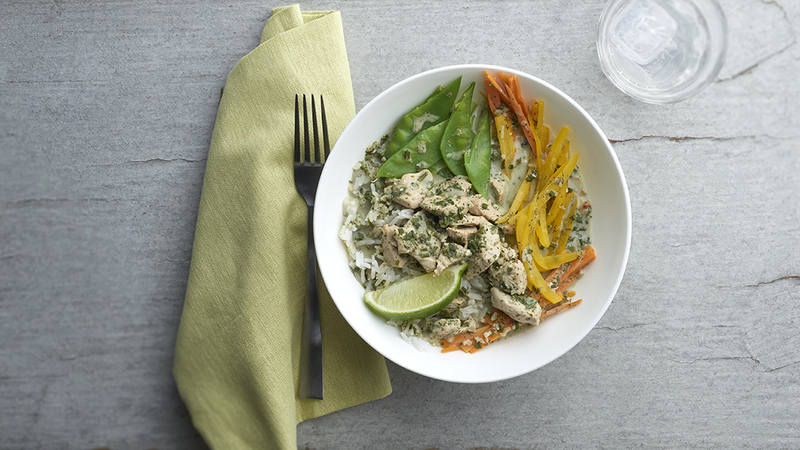 Shrimp Green Curry: Swap chicken for 1.15 lb (520 g) peeled, deveined shrimp, swap celery for frozen green peas. 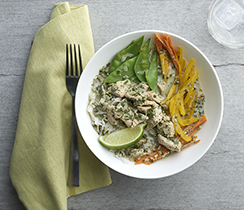 Beef Green Curry: Swap chicken for 1 lb beef and celery for zucchini. 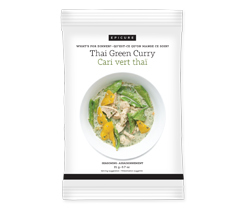 Vegetarian Green Curry: Swap chicken for 1.5 lb (680 g) firm tofu, cubed, and swap celery for broccoli. Make this recipe and more using the (p.1006154) collection.